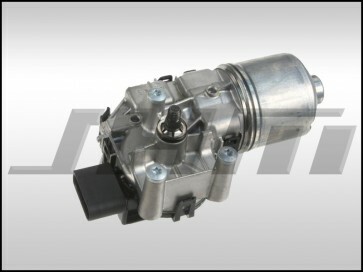 This is a new OEM Bosch Windshield Wiper Motor for the B6-B7 A4-S4-RS4. This motor commonly wears out due to overuse. It also has issues with the park switch causing your wipers to stay on or stop in the middle of the windshield. 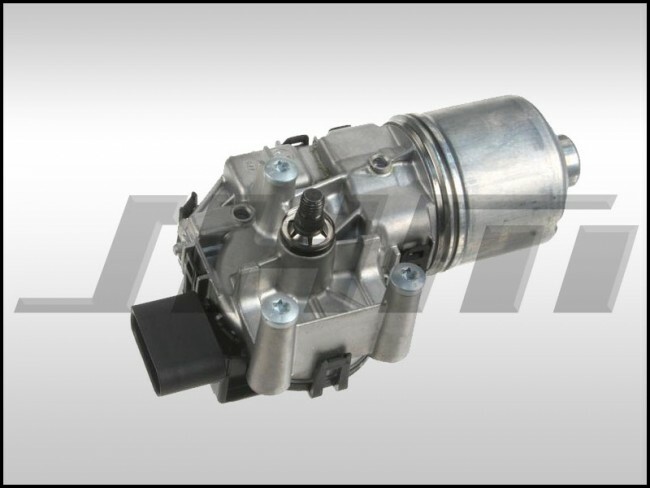 OEM part number is 8E1 955 119. Install note: These motors sometimes get burned up on cars that have been in the snow and the pivots at the arms are seized up due to corrosion. This is easy to check. When you have the motor-wiper linkage assembly off of the car for motor replacement you need to make sure that the linkage assembly moves freely once the motor is disconnected. If not, you just need to see which arm pivot is frozen and work it free, then undo the clip and lubricate. Then reassemble. You don't want to burn up a new motor since that cannot be warrantied by us. With that being said some motors just burn up from pushing the heavy snow off of the windshield and some just wear out in general.